Sometimes two or more teeth in a row have to be replaced, either because they are broken down and need extraction or are already lost. 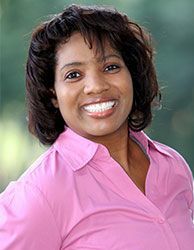 Dr. Schmidt and Dr. Lee are highly skilled and experienced at replacing teeth with dental implants. An implant-supported bridge can be used to replace several missing teeth in a row. Two or more missing teeth in a row can be replaced either with individual implants or implant-supported bridges. 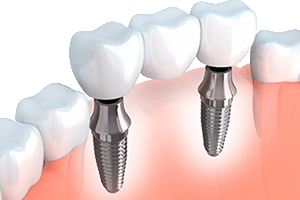 An implant-supported bridge is a row of crowns supported by two or more implants. 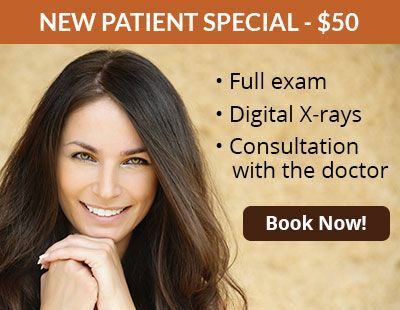 The doctors can tell you which option they recommend after a comprehensive exam and evaluation. By adding more implants, an implant-supported bridge can span across more missing teeth. In order to place a traditional bridge, the natural teeth on each side of the gap need to be ground down so the bridge can be cemented onto them. This weakens those teeth and leaves them vulnerable to decay, fracture or infection over time. 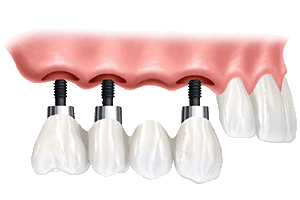 Implant-supported bridges require no grinding down of adjacent teeth. The chewing pressure transmitted through the dental implants also gives the stimulation needed to maintain bone volume in your jaw, which is something that traditional bridges cannot accomplish. Depending on what will work best in your situation, our doctors will fabricate your replacement teeth from any one of several top-quality forms of porcelain. Each form has particular advantages in terms of beauty and strength. Often, they will make your bridge out of zirconium, a very durable and lifelike porcelain that is extremely resistant to chipping, cracking and breaking. 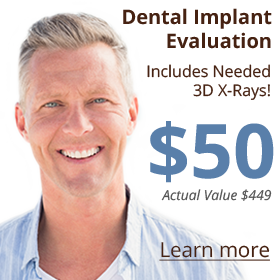 The teeth attached to the implants are made by the best labs around, and the doctors work with a master lab technician who helps ensure the teeth look beautiful and fully natural. 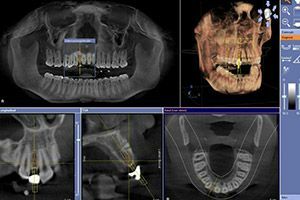 Using 3D planning software, our doctors ensure your dental implant treatment is fast and minimally invasive. 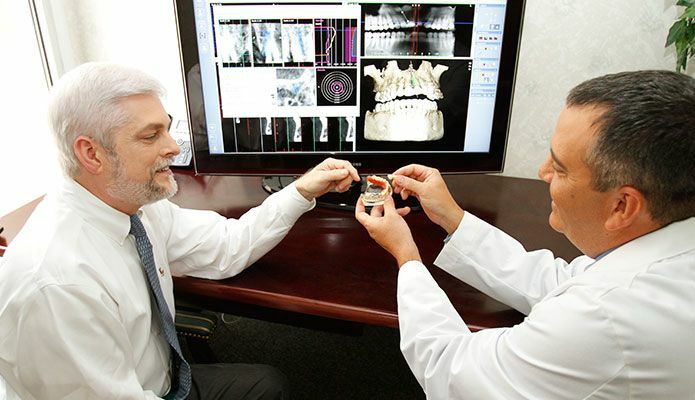 Our doctors use advanced 3D diagnostic images, 3D planning software and minimally invasive procedures to make your implant treatment efficient and precise. In most cases, the doctors are able to extract broken-down teeth and place dental implants in the same visit.